Earlier this year, while working on a presentation for our AMO brownbag, Nick Nguyen turned to me and said “AMO is like a Renegade Craft Fair“. I figured this was an obscure Star Trek reference, as is often the case when I don’t know what he’s talking about. But he persisted, and decided that we should actually have a booth at the real Renegade Craft Fair in San Francisco. The idea was that the add-ons community loves to make things, and people that come to craft festivals appreciate that and love to customize things. I had no idea what to expect, but I picked up some interns and drove to San Francisco this morning for the first day. We set up our booth, complete with Firefox swag and 2 computers to demo add-ons and Personas. The crowds started coming, and it was really exciting to hear almost everyone we talked to already used Firefox. In fact, most people’s response to “do you Firefox?” was “of course”. Most of the events I’ve been to for Mozilla are tech-oriented, so interacting with this crowd was really fun and interesting. We introduced lots of people to add-ons and Personas, converted a few people to Firefox, and taught some of the more technical folks a few tricks. Plus, I picked up some awesome robot artwork from 3 Fish Studios. Eric said a bunch of people had emailed him about Mozilla’s robot design challenge and that he’d be entering, which was great to hear. 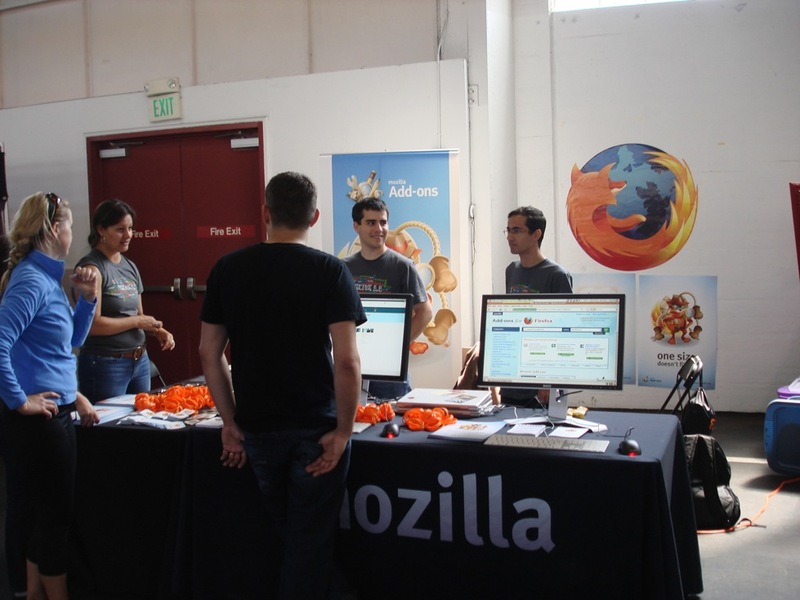 There’s still another day left of the craft festival in San Francisco tomorrow (Sunday), so I encourage anyone in the San Francisco area to check it out at Fort Mason, and be sure to stop by the Mozilla booth. I’m pretty sure I’ll be back next year, Mozilla-sponsored or not!